In light of World Environment Day 2018, we speak to green warriors advocating sustainability in their own passionate way. As our city grows, is it necessary for Mother Nature to bear the brunt of pollution, excessive waste and a lack of green spaces in the name of urbanisation? 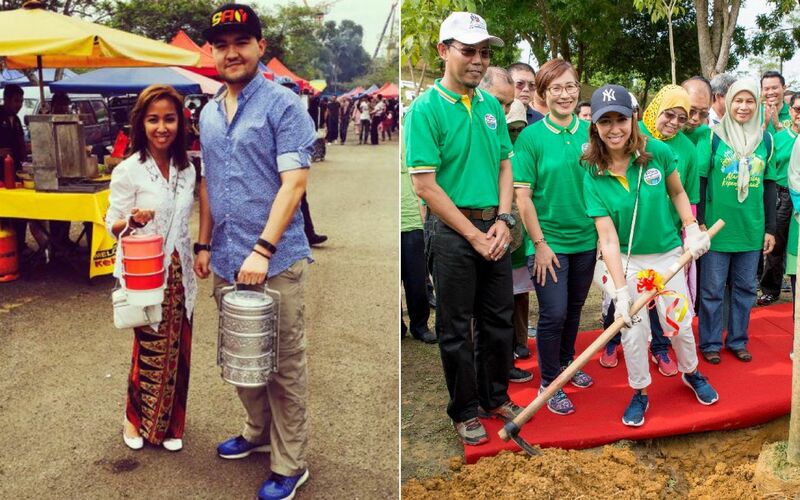 Perturbed by the little-known fact that Malaysia ranks 8th on a world plastic pollution index research, royal environmentalist Tengku Zatashah Sultan Sharafuddin Idris Shah set out on an action-packed, educational #sayno2plastic campaign via her social media. Here, she paints a bigger picture to us, of her noble efforts that began 3 years ago and reveals the little things we can do to curtail this major global concern. 2018 has seen a spike in environmental activism. You started 3 years ago. What prompted that? “People were being too blasé about their plastic consumption and images from scientists showed that the global crisis is actually plastic pollution. I realised we had very little discourse on this problem. My campaign aims to raise awareness and to share that it’s every individual’s responsibility to eradicate waste and single-use plastic. How is the awareness now compared to when you started? We use and throw one-time plastic ware that doesn’t miraculously disappear. Now, our oceans are clogged with billions of tonnes of plastic. What was the strategy with #sayno2plastic? “To show citizens how I live my life to #sayno2plastic, how I want to #stopsingleuseplastic. I shared of myself going to the pasar malam, Ramadan food bazaars, and food trucks with my tiffin which was effectively #zerowaste #reducewaste. I take with me recycled bags, metal straws, glass jars with reusable glass straws, wooden cutlery, reusable coffee cups and drink tumblers." What have you ticked off so far? How do your environmental goals look like this year? “I have expanded to marine conservation talks such as #saveourturtles as plastic is becoming a fatality to them in the ocean. I was recently made #SharkSavers Wild Aid Malaysian ambassador and joined the I’m FINished movement with FINS campaign. How do you measure the effectiveness of your social media campaigns? “I find this the most effective way to raise awareness. I share devastating photos and facts of human destruction on our defenceless creatures that’s also detrimental to our health. There’s a general attitude of ‘Oh it doesn’t affect me’ when toxic nano-plastic particles are actually in our food chain. Of all your #sayno2plastic efforts, what are you most proud of? What are the baby steps to transition into the #sayno2plastic habit? How else can one contribute to environmental conservation?